Kim Jong-un is the North Korean supreme leader. Little is known about him, due to the North Korean regime’s extreme secrecy. But we’ll try to give you some info on him. Who is Kim Jong-un, how old is he, when is his birthday, how tall is he, what is his full name, where is he from and what is his background? Kim Jong-un is the supreme leader of North Korea and the Chairman of The Workers’ Party of Korea. Information regarding his date of birth differs depending on the source; North Korea claims that he was born on January 8, 1982, making him 37 years old. South Korean intelligence believe his date of birth to be January 8, 1983 (making him 35 years old). The USA believe him to be 34 years old, with his date of birth being January 8, 1984, while Swiss records show his date of birth to be July 5, 1984. He stands at 1.7 metres tall. 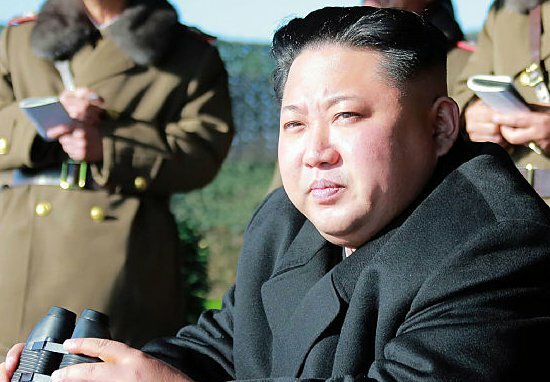 Kim Jong-un is his full name, with Kim being the family name. In the Korean alphabet, his name is Chosŏn’gŭl. He was born in Pyongyang in North Korea. Little is known of his background prior to him taking power. It is believed that he may have studied in Europe under a different identity before succeeding his father upon his death in late 2011. 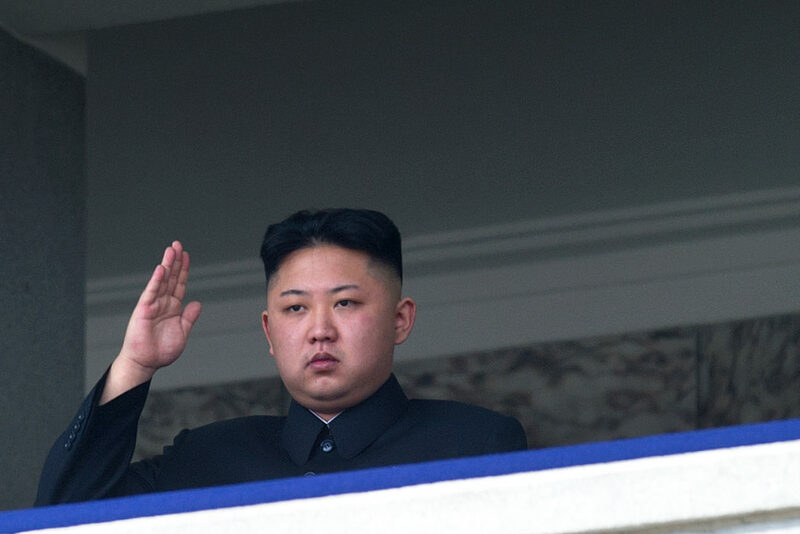 Why is Kim Jong-un famous and what is his occupation? He is famous as North Korea‘s supreme leader. 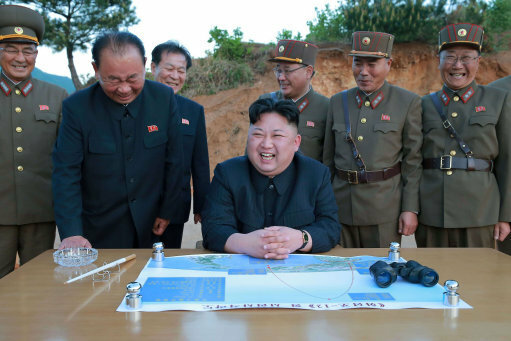 The North Korean regime is reportedly brutal, with citizens accused of having the worst human rights in the world, meaning that the leader and his country face intense scrutiny. 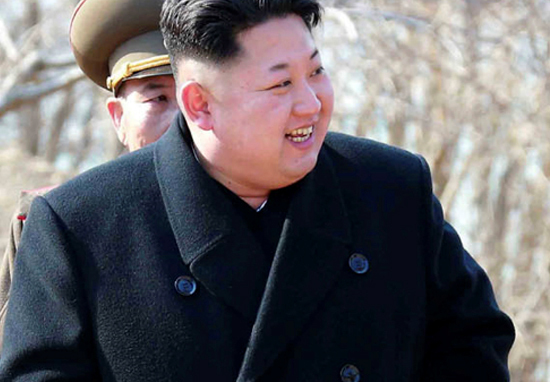 What is Kim Jong-un’s net worth? In February 2017, International Business Times estimated Kim Jong-Un’s net worth to be around $5 billion. How much does Kim Jong-un earn? It’s unknown just how much he earns. However, the average North Korean reportedly only earns between $1,000 and $2,000 per year. How much does Kim Jong-un weigh? He is believed to weigh 290 pounds, or 130kg. Where does Kim Jong-un live? He lives in a presidential palace in Pyongyang known as Ryongsong Residence, or Residence no.55. Did Kim Jong-un go to college in America, has he been to America, is he banned from America? The North Korean leader has not been to America; he is believed to have attended college in Switzerland. He is banned from entering the US, along with all other North Koreans, under Donald Trump’s travel ban. Does Kim Jong-un have any children, what are their names? He is reported to have one daughter, Kim Ju-ae, although it is speculated he may have more. Is Kim Jong-un married, who has he had relationships with in the past? He reportedly married Ri Sol-ju in 2009. As with many other aspects of his life, his dating history is very secretive. How long has Kim Jong-un been in power for, when did he come into power, how long will he rule for, how did he get elected, is he a dictator? The ruler came into power on December 24, 2011, after his father’s death on December 17, 2011. He has been president for six years; he was not elected, he succeeded his father. It is likely he will remain in office until his death. As Kim Jong-un has absolute power and control in North Korea, he is a dictator. What is the nuclear situation between North Korea and America, how did he become leader of North Korea, who will be the next leader of North Korea, what happens if he dies? Since April 2017, tensions have risen between he and US President Donald Trump over North Korea’s testing of nuclear weapons, leading Kim Jong-un to make threats against the US. Kim Jong-un became the leader of North Korea upon his father’s death. There is no obvious successor if he dies in the near future. The likelihood of a revolution is small, as there is a regime behind Kim Jong-un who will benefit from continuing their way of life. It’s not believed that the leader can speak English. The North Korean regime discourages citizens from speaking any foreign language. Though he has been described as Communist, North Korea rejected Communism and declared themselves an independent state. Are Trump and Kim Jong-Un friends, do they get along, have they met? He and Donald Trump could perhaps be classed as enemies. They have never met but make critical statements to one another through the media. Trump has suggested he would be open to meeting the North Korean leader, however.